This massive fundraising project all started in 2008 with a 20-month-old little girl named Jessica Madison Bain. 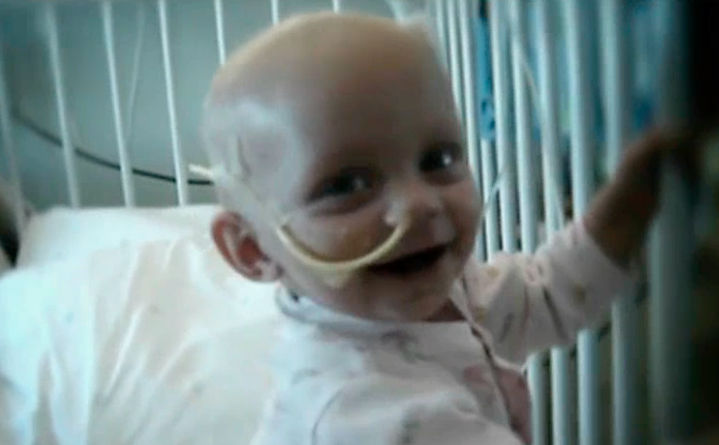 In April 2007, Jessica was diagnosed with Neuroblastoma Stage 4 at the tender age of 10 months. Her diagnosis came as a shock to her parents and family. The months that followed consisted of weeks at a time in hospital and 6 rounds of intensive chemotherapy. By October 2007, Jessica was in remission and it was decided that a Stem Cell Transplant would be her best chance of long term survival. The Stem Cell Transplant went well – in fact she took her first step the day after the transplant, shwoing us all her tremendous courage and determination. Unfortunately ,in January 2008, the cancer was back and this time there could be no more treatment as her little body would not tolerate it. During this time, Lynda Schutte, the CHOC Bereavement Counsellor, became an absolute rock for the family. Lynda, who had worked with families in this position for over 20 years, guided the family through a very dark time. On 27 February 2008, Jessica passed away peacefully at home with her parents. Her spirit and life has inspired the creation of The Cows and her memory lives on through all The Cow projects underway. CHOC played a significant role in the Bain family’s life in the last few weeks of life, specifically with palliative care and emotional support. In 2008, Kerrin and Grant, Jessica’s parents, decided to cycle the 947 Challenge in memory of Jess and to raise money for CHOC. Kerrin’s colleague and friend, Cordi van Niekerk, heard about her fundraising project, and he and a group of friends got together and decided to raise money by cycling the race in cow suits (because that was the only suit they could get 6 of). 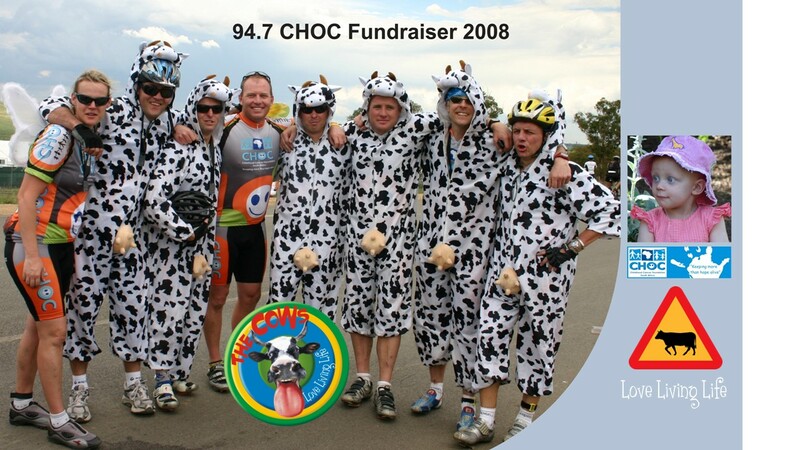 And s o the CHOC Cow initiative was born by a group of 8 enthusiastic cyclists keen to make a difference and to raise money for a much needed cause. What started in 2008 as a challenge to raise R60,000 for CHOC resulted in the group raising more than R230,000 that year. The energy of the herd was infectious and the fundraising challenge, which took a mere two weeks, went on an upward trajectory. And the rest, they say, is history…. In 2009, the Herd gained momentum and grew to an incredible 140 energetic cows. Just two years later, the Herd numbered a staggering 350 cows all riding for a purpose. Ten years later, thousands of people have participated in events wearing cow kit. The Cows have raised over R31 million and The Cows brand is prominent in many sporting events in South Africa.